Here is a map contains territory of Russia. actual map of Sosnovo displayed. detailed map of Garbolovo 1 cm to 1 km this. detailed map of Petrovskoye for gps. map of Orekhovo calibrated presented. free map of Zapovednoye и OziExplorer calibration displayed. topographic map of Zaporozhskoye 1 cm to 1 km this. map of Yushkelovo 1 cm to 1 km this. free map of Yagodnoye calibrated download for free. actual map of Vuoly 1 cm to 1 km for you. map of Volossula for gps. detailed map of Volkolovo и OziExplorer calibration displayed. free map of Visi-Yoki calibrated displayed. topographic map of Verkhniye Nikulyasy displayed. map of Vepsa calibrated free download. 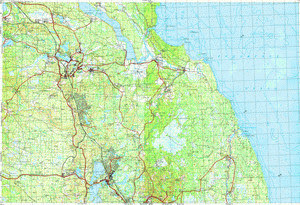 map of Veikkola this. interesting map of Vaskelovo calibrated this. actual map of Vankhayaama calibrated displayed.